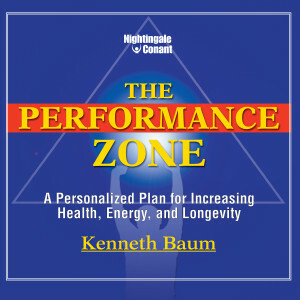 Ken Baum is an author, lecturer, health and fitness professional, and trainer to the world's best athletes and companies. As a highly regarded speaker Ken Baum has shared the stage with some of the biggest names in America including Larry King, John Wooden, Bob Dole, Phil Jackson, Naomi Judd, Suze Orman, Zig Zieglar, Brian Tracy and has delivered hundreds of seminars and lectures to a wide variety of companies such as Merrill Lynch, Prudential, EF Hutton, Omaha World Herald, The United Way, Edison New Jersey Public Schools, Central Industrial Supply and many more. His results as a trainer in business and sports are outstanding. He went from inexperienced salesman, to top 2% in sales, as a manager and trainer. Recruited to Vice President of a small regional company he tripled sales as he flourished as a trainer. In 1987 he opened Baum Research Center to further his passion for helping others become their best. A successful school and corporate training helped Baum Research Center succeed and the beginning of serious training for athletes took place. Since then he has trained thousands of athletes including: Sasha Cohen-Figure Skating Super Star, Randy Johnson-Baseball Superstar, Luke Walton-LA Lakers, USA Men's Gold Medal Volleyball Team, USA Men's World Champion Bobsled Team (first world championship in 50 years), Richard Thompson-Trinidad/Tobago Olympic Silver Medalist 100 meter, Misty May and Kerri Walsh-Gold Medal Beach Volleyball, Avi Rokah-World Champion Karate, Carlos Pena-Major League Baseball Comeback Player of the Year and many, many more. Ken is also owner of BioDynamix Training Center in Capistrano Beach, California where he teaches Shotokan Karate and Mixed Martial Arts. He trains athletes and people from all fitness levels seeking to change their life and performance. Ken's thorough knowledge of nutrition and supplements is unique in the industry and makes him an ideal candidate for any supplement company that wants a trainer with high level content.